Brooke Fox graduated in 1993 from the University of Iowa with a Bachelor of Arts in Psychology and a minor in Music. Brooke then graduated in the top 10% of her class with a Masters of Social Work in 1998 from Loyola University Chicago. Brooke has extensive experience working with adolescents, addictions, trauma, mood disorders, anxiety, immigration issues, as well as couples treatment. 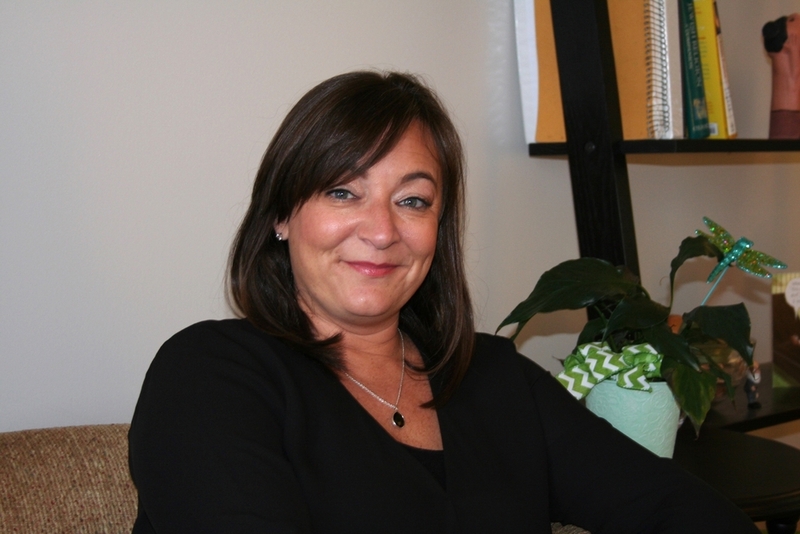 Brooke is currently a member of the National Association of Social Work, and has over 20 years of clinical experience. Brooke has been in private practice since 2002. She is currently being certified to practice EMDR (Eye Movement Desensitization and Reprocessing), an innovative and clinically effective technique to treat trauma. Additionally, Brooke recently finished her term as an Executive Board Member for Family Service of Glencoe. Brooke empowers her clients to overcome their struggles through compassion, enthusiasm, loving accountability, and a lively sense of humor. Her goal is to see clients tap into their resiliency, achieving a positive self-connection and life satisfaction. Nothing is more gratifying than that! Nikki Levine graduated in 1995 from the University of Wisconsin with a Bachelor of Arts in Psychology. In 2000, she received a Masters in Counseling and a Masters in Dance Movement Therapy from Columbia College. Nikki specializes in working with individuals, couples and families. She has over 15 years of clinical experience, and has been in private practice since 2004. Nikki is a client-centered, interactive therapist, approaching each individual with acceptance, and free of judgment. Nikki specializes in depression, anxiety, mood disorders, trauma, relationships, and transitions. Nikki has extensive experience and training in Internal Family Systems, a client-centered approach that fosters self-connection and self-trust in a compassionate environment. Additionally, Nikki incorporates EMDR (Eye Movement Desensitization and Reprocessing), an innovative and clinically effective technique to treat trauma. Jennifer Kelber graduated from the University of Wisconsin-Madison in 1992 with a Bachelor's in Business Administration, and earned her Masters of Arts in Social Work from the University of Chicago - School of Social Work Administration in 1998. Jennifer worked as a school social worker in an elementary setting for many years. She gained clinical experience working with children and adolescents dealing with social and emotional issues, as well as children who have IEP's (Individual Education Plans). She prioritizes collaboration and communication between parents and schools. She also specializes in improving parent-child relationships to promote more effective communication within the family system. Jennifer builds a nurturing and safe place where children and teenagers can feel comfortable opening up and talking about their problems. She has extensive experience working with clients on anxiety and depression, self-esteem, social and relationship issues, educational problems, and trauma. Kris Larsen graduated from the University of Illinois Chicago with a Bachelor of Science in Biology, and received his Masters of Arts in Dance Therapy from the Naropa Institute in Boulder Colorado. His approach is humanistic, direct, and compassionate, offering work that brings deep emotional healing, development of creativity to support self-initiated change, and symptom management tools for better living. Kris has over 25 years experience working with mood disorders, shame and addiction, and exploring how past memories get locked in the body due to trauma. Utilizing verbal counseling as well as therapeutic techniques rooted in body/mind connection, Kris’s focus is on processing issues that disrupt understanding and compassion for the self. Kris is also certified in Sensorimotor Psychotherapy (Level 1), a therapeutic technique that aids in the development of a path that guides the body to the discovery of inner resources and the wisdom and insight to heal.